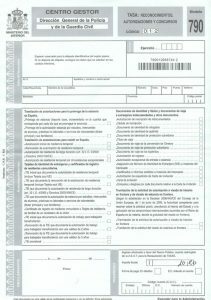 Get your NIE Number in Spain Fast! MY NIE NUMBER SPAIN is a online DISCOUNT service to help you obtain your Spanish NIE NUMBER in Spain Fast. Book your NIE NUMBER appointment online with us today and we will complete all the forms, all you need to do is turn up at the Spanish Police station on the date we provide you to collect your NIE Number. PLEASE DO NOT LEAVE PAYING YOUR NIE NUMBER TAX UNTIL THE LAST MINUTE. PLEASE ENSURE THIS IS PAID AT LEAST ONE DAY BEFORE YOUR APPOINTMENT. For each new NIE Number application, or replacement NIE Number application there will be an applicable tax payable in advance to the Spanish Government. The amount owed will be shown on your Form 790 we sent you via email. You need to take this form, which comprises of 3 pages (two identical), to a bank to pay the Tax. This needs to be done before your NIE Number appointment. You may need to try several banks before you will find one which will allow you to pay your NIE Number Tax. Some banks will only accept payments if you hold an account with them, but most national banks will accept your form and payment without an account. Recently we have found that due to the long ques that processing many NIE Number tax certificates causes some banks will only accept payment on certain days of the week, for example Tuesdays and Thursday. 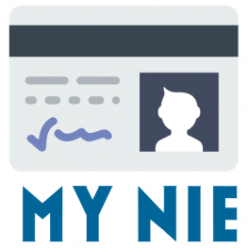 Q: How much is the NIE Number Tax? A: Each region of spain is able to set its own fees for your NIE Number tax. This amount will appear on your form 790 and on average is between 9-13 Euros per person. Q: I’ve gone to the bank but they have said you have completed the form wrong. They say my NIE Number should be on the form. A: We complete this form over and over again, day after day. We can confirm your form has NOT been filled in wrong. Not all cashiers are trained in what should be on your form. If you have problems try another bank and another cashier. Q: I paid my NIE Number Tax, but when I arrived at the police station they said it was the wrong amount and sent me back to the bank to pay more. Why didn’t you tell me? A: Each region has the ability to set its own Tax Rate. Where possible we try and issue forms with the correct tax rate, however, since the time we issued you the paperwork the police may have changed this amount, which they are not required to notify us or anyone about. The amount may be as little at 10c. 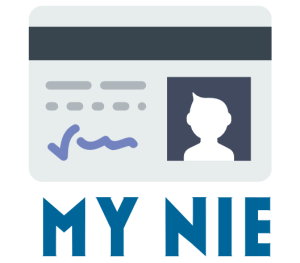 This will not affect your NIE Number application but in certain circumstances may require you to revisit the bank to pay the extra amount owed. Q: I seem to be going around in circles, the bank will not accept my form 790 tax without a NIE Number and the Police will not give me a NIE Number without paying the form 790 NIE Number Tax. What do I do? A: Welcome to Spain! This type of situation is not uncommon in Spain. The only answer is to keep trying different banks until one says yes. Crazy? Absolutely! Q: I have been refused a NIE Number. Have I lost the Tax I paid or can I use it for my new appointment? A: If your application for a NIE Number was not successful you can still keep the paid form 790 for 1 year from the date you paid the fee and use this at another appointment. Q: My region only offers joint NIE and residency applications. Why have you still sent me a 790 Tax Form? A: If you are lucky enough to live in one of the regions which offers a joint NIE Number and residency application system your tax will be slightly higher. The police station will issue you with a new form 790 to pay on the day if this is the case.